I was in the process of putting five goals together based solely on my love for Clemson, but after last night’s debacle, I may need to wait. Hopefully they embarrassment will wane and the desire to do these things will return. In lieu of Clemson goals, I present to you the next five, bringing the total to 20. One half now expressed – and zero accomplished. There is great joy in introducing new things to your children and then getting to experience those things with them. We have been able to do some pretty cool things with the girls, but I have this sneaky suspicion roller coasters will jump to the top of the list. At least for Delaney.The original thought for this goal was to spend a weekend at a theme park with great coasters. And then it hit me – how much fun would it be to ride coasters and get to experience new things with the kids. This goal is one I wouldn’t mind achieving on a yearly basis and hopefully the first opportunity comes soon. I’ve spent the night in RVs, tents, shelters, cabins, and on cots, floors, and picnic tables. I’ve even slept directly under the stars. But I’ve never gone full Gilligan.I’ve never slept for a full night in a hammock. I own a hammock. I even have it hung up in the yard. But I’ve never spent the night in it. And now I want to.What’s stopping me? Animals? Neighbors? Fear? Motivation – YES! And now that I have the motivation, I will need to wait until spring as outside has gone full cold. 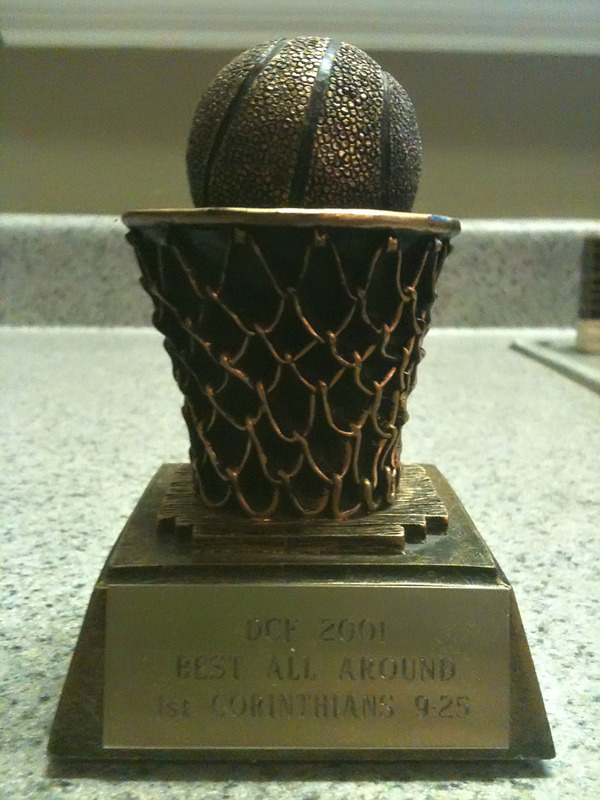 I haven’t earned a trophy since my junior or senior year at Clemson when I won Miss Congeniality, or the male equivalent, for playing in a church basketball league. This is a Top 10 treasure, if I could only find it. I love that trophy and I really didn’t even earn it. I was in the right place at the right time. But how much more awesome would it be to win a true trophy – a manly one, with a pig or flames on it.And to win a BBQ trophy, means you have accomplished a true feat. You don’t just back into one of those suckers. You’ve got to beat out moonshiners, ZZ Top look-a-likes, experience, and a lot of people that could beat me up. And revenge is best served with a slightly sweet BBQ sauce. Paris was supposed to hook us up. We thought we were getting the good tour, and when Paris said “Paris don’t wait in lines”, we knew we were getting the good tour. Paris took us to the back of the longest line and left us. We never saw the good parts.And without going Veruca Salt on you, “I want to see the good parts”. The parts on the other side of the ropes. The part where JFK snuck Marilyn in. The living quarters. The kitchen. The paintings. The view. Janet – no hard feelings, but this one ain’t gonna happen with you. Nope. This goal has options, but seeing as I can’t drive over the Caribbean Sea, this will be a sausage fest.My goal would be to do a baseball road trip, where we head north to DC, then Philly, New York (both), and Boston. We then head west and hit Pittsburgh, Cincy, Detroit, Chicago (both), and St. Louis, before heading home.Obviously, trying to watch 8-10 baseball games will take some effort, and I may be forced to settle for just the East Coast version, but even that would be awesome. Another option would be to drive from coast to coast – and never hit an Interstate. That would be awesome too. This entry was posted in 40 Before 40, bbq, Clemson, Family, Food, fun, memories, random, Sports and tagged gilligans island, hammock, road trip, white house by willy powell, pe. Bookmark the permalink. Dude…I am so in for the Baseball road-trip. Throw Camden Yards and Jacobs Field in there and you have a deal.